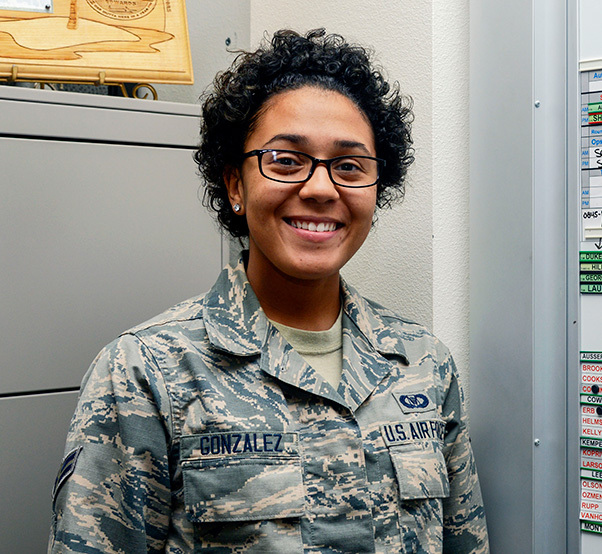 Airman 1st Class Parris Gonzalez is the 412th Test Wing Warrior of the Week. 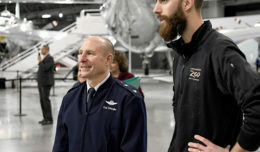 Gonzalez is an aviation resource manager at the U.S. Air Force Test Pilot School where she helps manage the school’s busy flight operations. 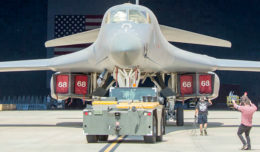 She hails from Dallas, Texas, where she enlisted in the U.S. Air Force while a senior in high school. She left for Basic Military Training three weeks after she graduated. Her Air Force career so far has taken her to Lackland Air Force Base, Texas; Keesler Air Force Base, Miss. ; and here at Edwards. She hopes to finish her bachelor’s degree and be selected into the Air Force nursing program. Gonzalez also hopes to be stationed overseas one day and be promoted to staff sergeant in the next few years. Gonzalez enjoys flying, volunteering at the elementary school and continuing her college education. She is also a fan of the Dallas Cowboys. Congratulations to Airman 1st Class Gonzalez for being selected as the 412th TW Warrior of the Week!